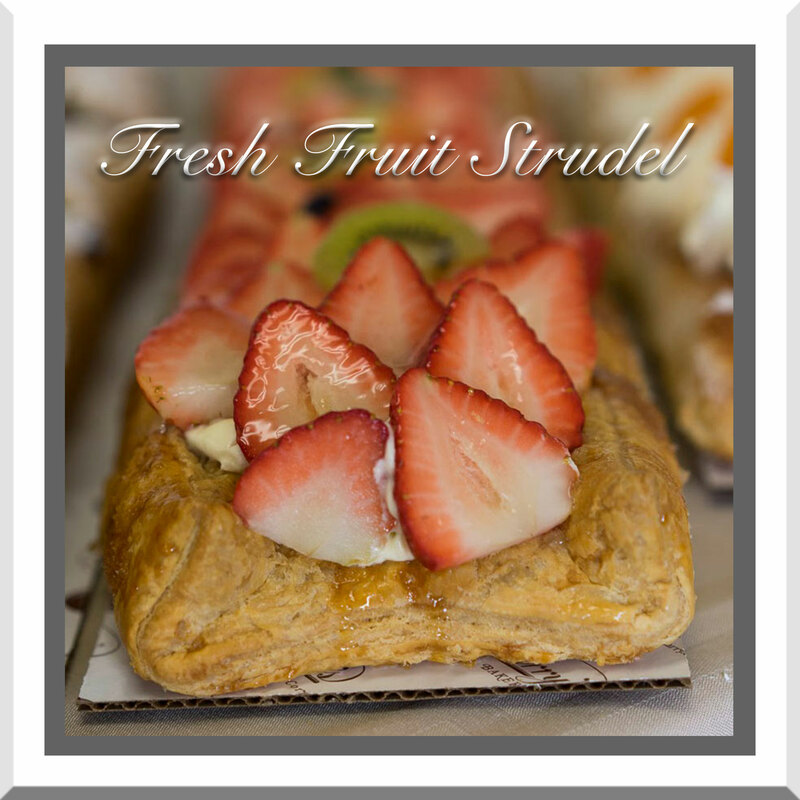 Sugared puff pastry topped with Bavarian cream and freshly cut strawberries, apricots, kiwis, and blueberries. 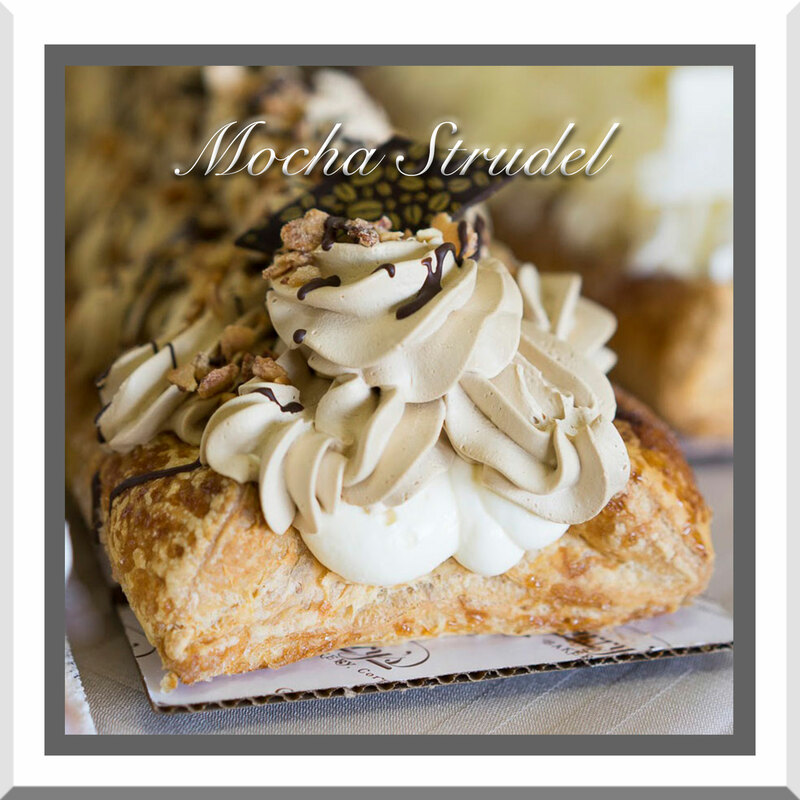 Sugared puff pastry layered with chocolate ganache, Bavarian & mocha cream, top drizzled with chocolate plus sugared almonds sprinkled on top. 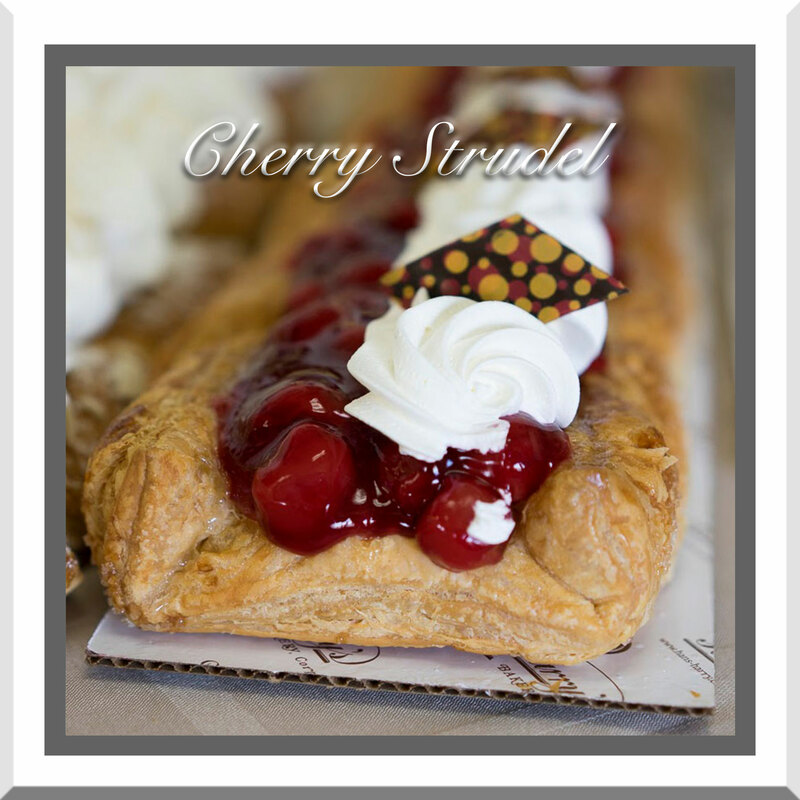 Sugared puff pastry layered with chocolate ganache, chocolate Bavarian cream, cherry pie filling and Kirsch cream, top decorated with dark chocolate shavings, maraschino cherries & lightly dusted with snow powder. 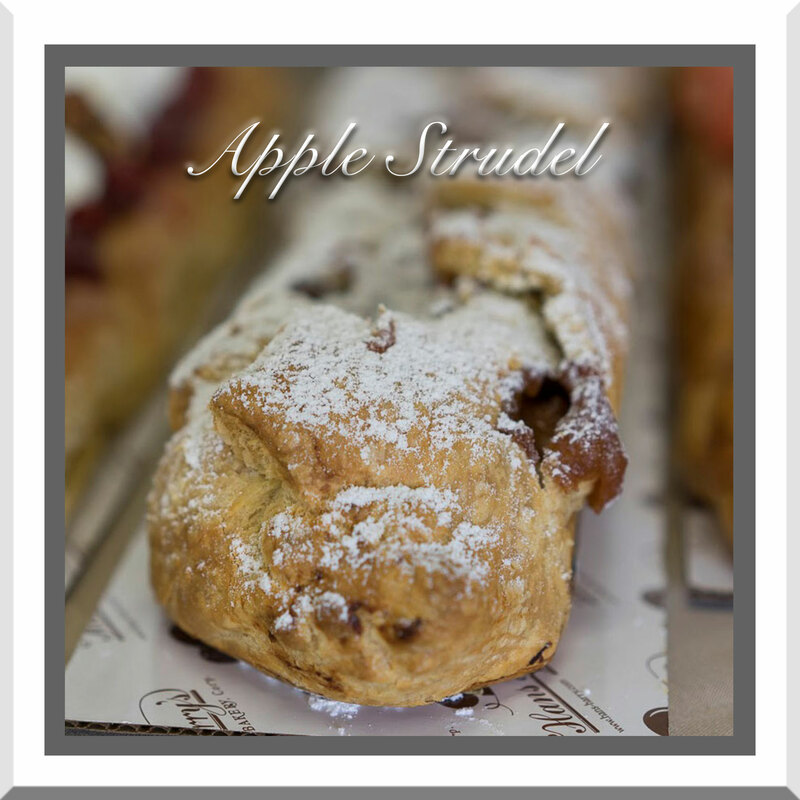 A baked puff pastry filled with apples and lightly dusted with snow sugar. 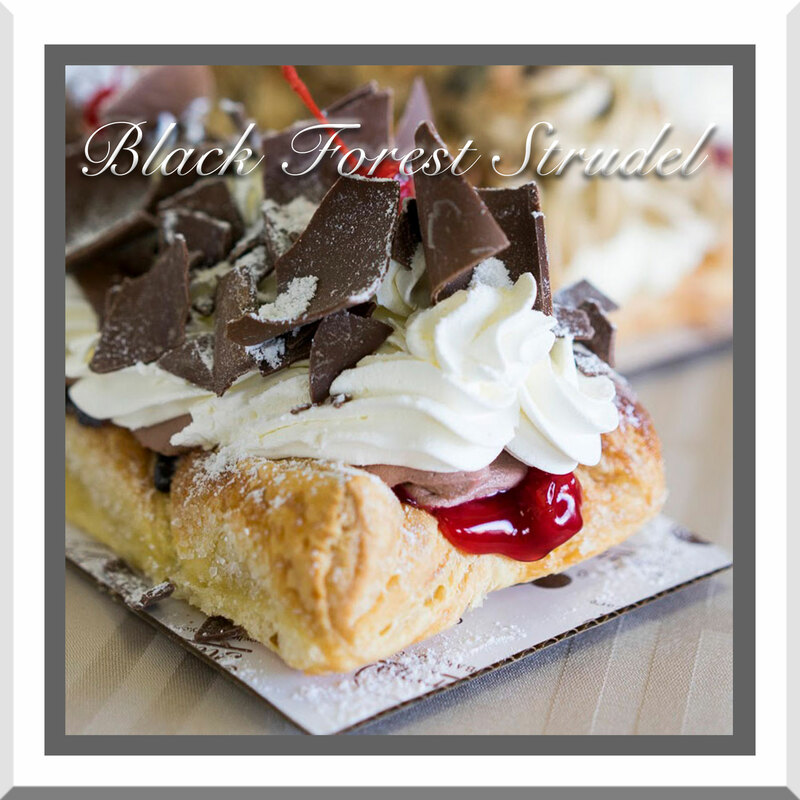 Sugared puff pastry layered with cherry pie filling and whipped cream, decorated with dark chocolate pieces. 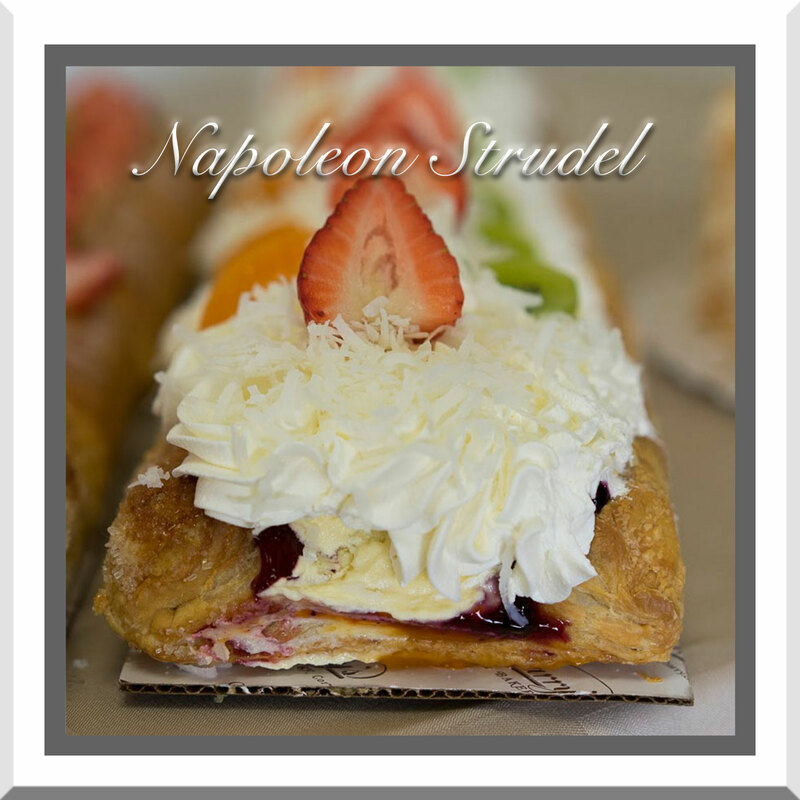 Sugared puff pastry layered with raspberry spread Bavarian and whipped cream, garnished with white chocolate shavings and fresh strawberry pieces.